Shark love. It's not a new reality show or a killer band name (yet). 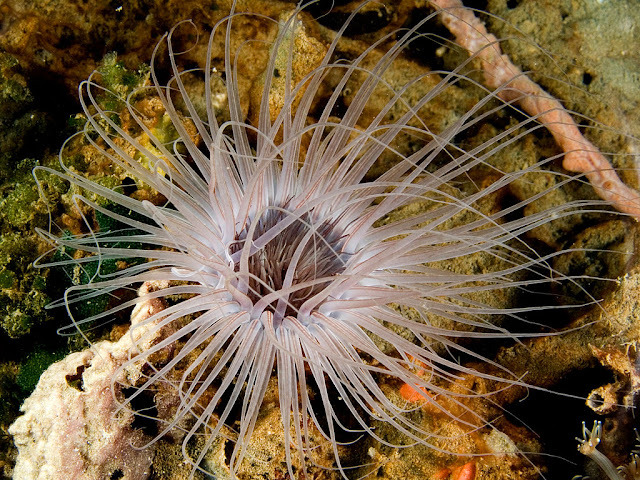 It's what's happening behind the scenes at the New England Aquarium! We couldn't let the sweetest of holidays go by without introducing this prolific pair of Valentines. With spring on the horizon, it gets us thinking about all those babies, too! Our female epaulette shark cozy under her bread tray habitat. The male shark is never far away. Our happy epaulette shark couple has been "together" for about four years. They started out in The Trust Family Foundation Shark and Ray Touch Tank along with another male. With two males competing for one female, the two sharks got a little aggressive after hours. 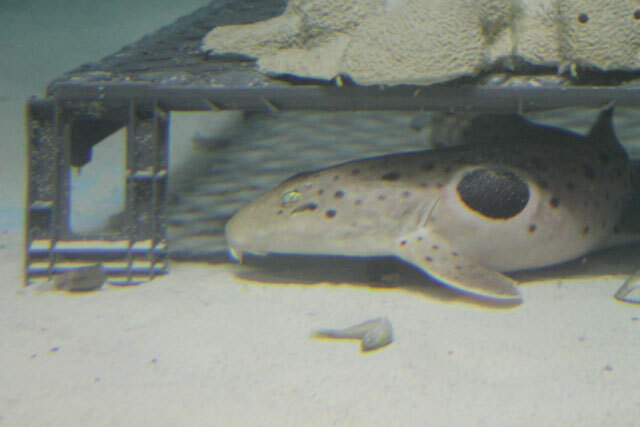 One of the males had to have a time-out behind the scenes to recover from a torn dorsal fin, which a common injury to mating epaulette sharks in the wild. But by himself in the recovery room, he refused to eat. So the aquarists thought to move the female to the same tank. He ate (and mated) right away, and they've been living happily every after ever since! 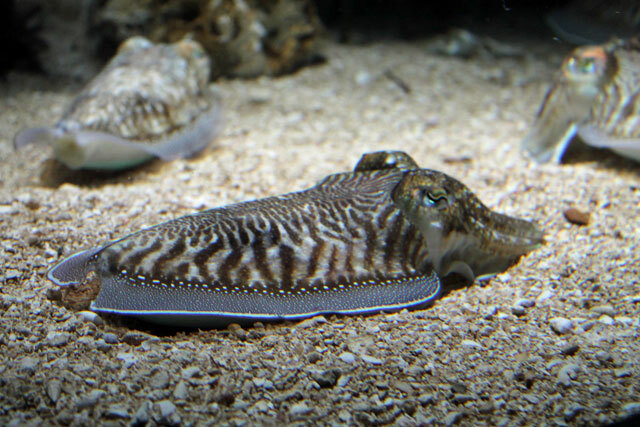 The aquarists usually find them fin-to-fin under their favorite hiding spot, which is a repurposed bread tray. 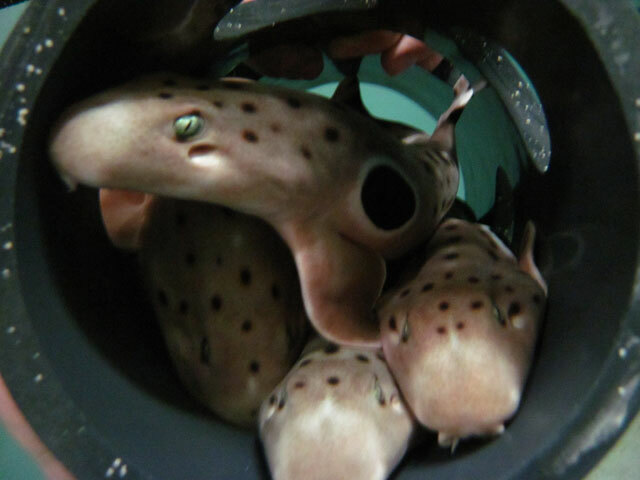 Epaulette sharks are very tactile and as you can see with this pile of shark pups, they like to stick close together. Older epaulette shark pups resting together in a pipe habitat. Speaking of shark pups, while you can't see this pair on exhibit at the Aquarium, you can definitely see their babies! Just in time for February school vacation, we have a fantastic new shark nursery exhibit. 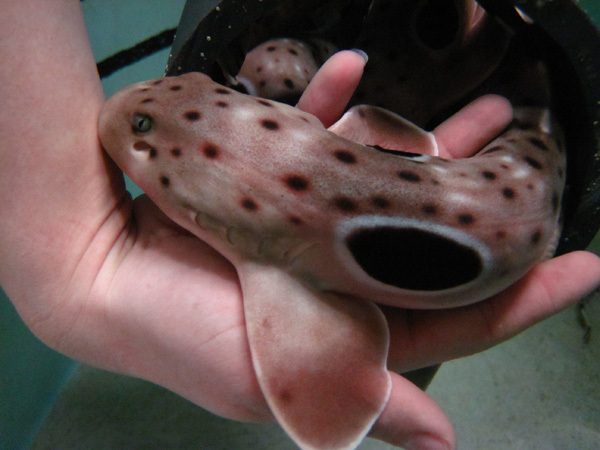 Families will have an opportunity to see epaulette and coral cat shark pups at different stages of development. 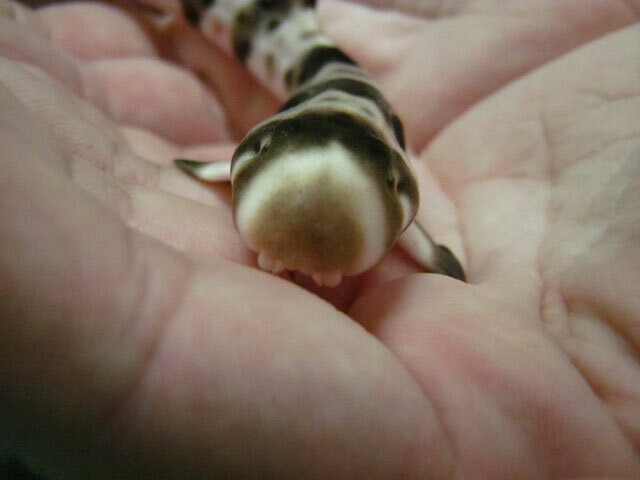 Check out this post to see what those adorable shark babies look like at different stages of development. 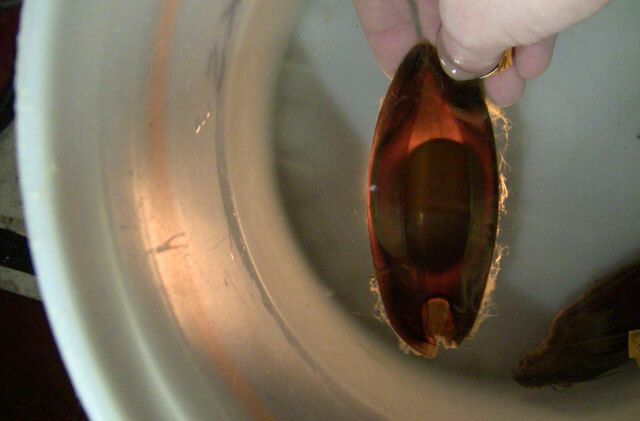 An epaulette shark egg case with the yolk clearly visible. It's quite obvious that this is happy couple because of how many shark pups they have produced over the years. She lays about five egg cases every month. So many pups, in fact, that we have transported some to other zoos and aquariums around the world. This means that epaulette sharks are not taken from the wild for exhibit. 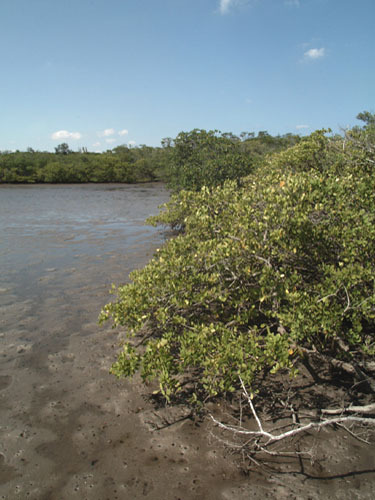 As the sharks age, they lose their stripes but their namesake "epaulette" spot remains. 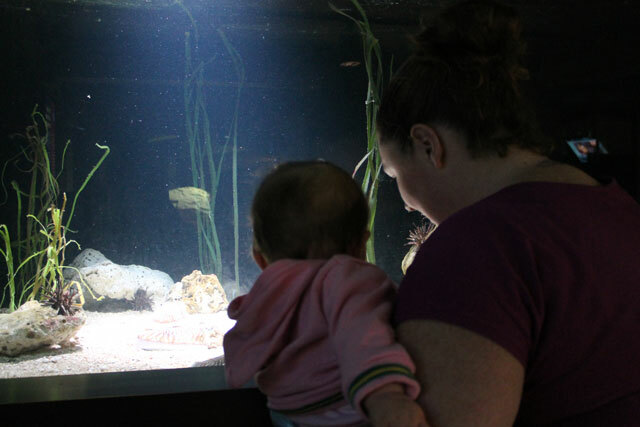 Come by the Aquarium's shark and ray touch tank and get to know the children of this very happy couple this Valentine's Day or any day during February school vacation! Special construction pricing is in effect, so you'll save when you visit during the reconstruction of the Giant Ocean Tank.